When you inquire to book a newborn photo shoot I only offer you dates with no other bookings in place. The reason for this is that I never want to rush a newborn photo shoot. I always tell parents when they book a newborn photo shoot that baby is in charge. If baby needs a break, be this to cuddle, feed or change of nappy, then we take a break. We cannot force a baby to work to a schedule, so we cannot tell how long a photo shoot will last. For this reason, I will not book any other photo shoots on the same day as a newborn photo shoot. Where possible I prefer to schedule a newborn photo shoot for 10 am. This gives you time to prepare your baby for their session, take any siblings to school and arrive at my studio. The morning start also means that if we need it, we have the whole day available, should we need it. On average a newborn photo shoot usually lasts around 3-4 hrs. The early start also means parents who want siblings to be involved in the photo shoot can bring them along know we have time to do this. I never want your session to be rushed, or to be clock watching because another session is planned later in the day. As any parent knows, newborns tend to have their own timetable. You’ll be ready to head to my studio and baby will need a nappy change, which will make you late. I don’t want you to be stressed about being late as baby will feel this and I don’t want to be rushing your session because I have another shoot planned later in the day. We’ll spend time soothing and settling your baby until they are ready for a photo, just as we are ready they will wake up and we’ll need to start again. 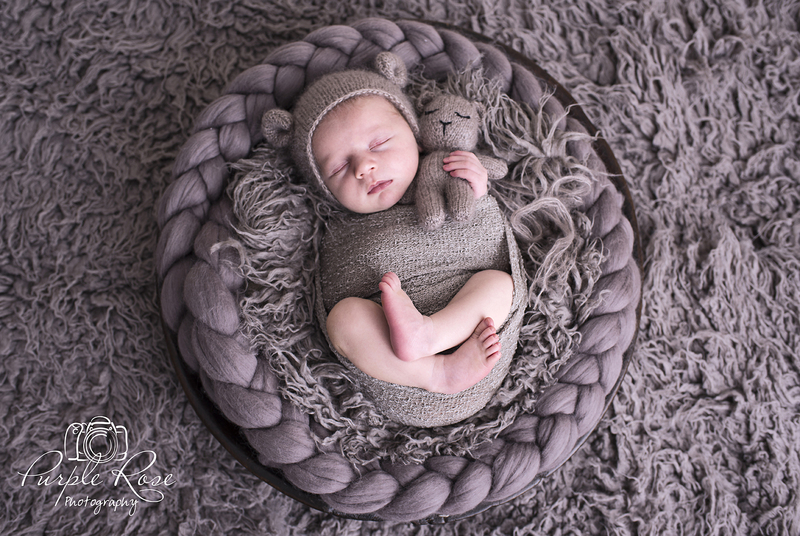 This is part of newborn photography and perfectly normal. I expect plenty of breaks and set changes throughout the session. 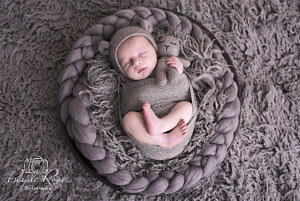 Newborn photos take time and patience to create. If you walk into your photo shoot knowing and accepting the session will run to babies schedule, then we will be able to work together to capture beautiful memories of your newborn for you to treasure forever.